These factors are connected and can’t be separated. They influence your reasons for using a drug and the effects it will have on you. We need to understand that there are different levels of drug use with different types of problems. You can move between the different levels, for example if you start using more heavily, but you can also stop taking drugs and then start the cycle again. While you may think that drug use will always lead to drug abuse, this is not always the case. Drug use is not the same as drug abuse. Most young people try drugs for the first time as an experiment, usually because their friends are doing it. It tends not to last long and will not happen often. It depends on many factors such as: how easy it is to get drugs, where it’s happening, your group of friends, and current trends or fashion. You may go on to recreational drug use or you may stop once you have satisfied your curiosity. The main risk of this type of drug use is that young people may not know about the effects of the drugs they try. Some people continue to use drugs in order to have fun. This is usually a regular thing, such as every weekend, and is part of your social life. You may feel that you have control over your use of drugs. Even if you use a lot, you may not be addicted to the drug. This type of drug use only applies to certain drugs and contexts, for example ecstasy and dance culture. 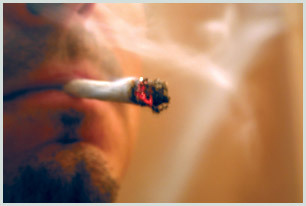 Most people who take recreational drugs see it as a ‘normal’ activity in their social circle. If you use drugs for a long time or use them heavily, you may no longer be able to control your use. This is called dependence or addiction and may be physical or psychological. Physical dependence means that your body craves the drug. Psychological dependence is when you feel that you can’t cope without it. This level of drug use usually happens on your own or in a small group. As well as making you sick, it often causes emotional, psychological and social problems. An abstainer is someone who does not take any drugs or someone who has been off drugs for a long time and does not want to use them again.